Would you like the best Divemaster job or Diving Instructor job in the world? Imagine working on a super-yacht, travelling the world, enjoying a luxurious lifestyle, scuba diving some of the best dive sites in the world, all whilst earning a great salary! At Sairee Cottage Diving 5-star PADI IDC Centre we don’t just want you to pass the PADI Divemaster or PADI Instructor Development Course (IDC), we want you to get a really great job in the dive industry. There are many types of diving jobs for PADI Divemasters and Diving Instructors like working for a dive shop/school, a dive resort, on diving liveaboards, in dive retail shops and on cruise ships. 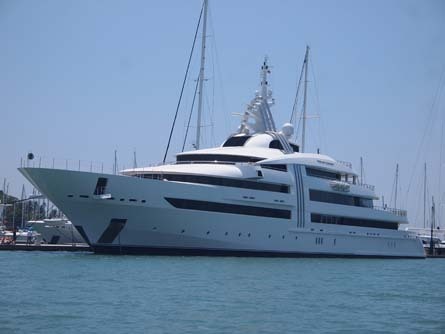 But by far the best job for Divemasters and Diving Instructors is working on a super-yacht. Can you imagine working on a Super-Yacht? 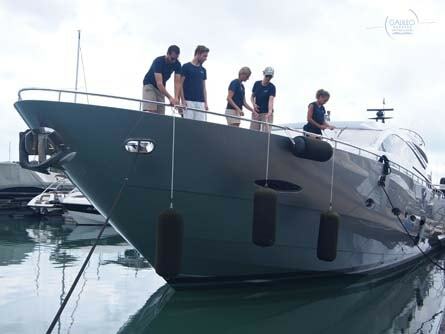 To be able to work as a Divemaster or Diving Instructor on a super-yacht you do, however, need some extra qualifications like completing the Deckhand – Steward / Stewardess (DSS) Course. At Sairee Cottage Diving, Koh Tao, we partner with Galileo Maritime Academy in Phuket, Thailand. Galileo Maritime Academy is one of the best super-yacht maritime academies in the world and is the only one in south-east Asia accredited and approved by the UK Maritime & Coastguard Agency (MCA) to issue MCA Certificates of Competence to seafarers. At Sairee Cottage Diving 5 star PADI IDC Centre on Koh Tao we strive to teach you some of the highest quality PADI Divemaster and Diving Instructor (IDC) courses in the world. Our end goal is for you to get a fantastic diving job after completion of the Divemaster and Diving Instructor courses. To achieve this we at Sairee Cottage Diving have designed one of the best and highest quality Divemaster and Diving Instructor Courses available to give you the best chance of getting a great diving job afterwards. 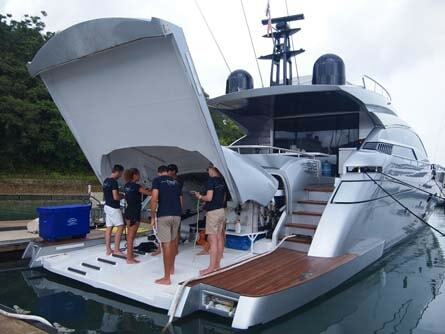 Galileo Maritime Academy in Phuket offers the same high quality level of instruction on the super-yacht course they teach, and all their super-yacht courses are designed to also help you get the best super-yacht job available. Galileo Maritime Academy also take their training above and beyond the norm; they will teach you how to give 7-star service instead of 5-star. The high quality super-yacht courses of Galileo Maritime Academy are recognised all over the world and will give you the competitive edge when seeking work on a super-yacht. We at Sairee Cottage Diving (5 star PADI IDC Centre) and our friends at Galileo Maritime Academy are working together to offer some of the very best Divemaster and Diving Instructor super-yacht training packages available to make it even easier for you to get that dream job on a super-yacht. You can choose to do your Divemaster or Diving Instructor (IDC) Course first with Sairee Cottage Diving on Koh Tao and then finish the package with the Deckhand – Steward / Stewardess (DSS) course with Galileo in Phuket or you can do it the other way around, it’s up to you. Your courses will be at 2 different locations in Thailand meaning 2 different Thai experiences and a refreshing change of scenery. Sairee Cottage Diving 5 star PADI IDC Centre is located on Koh Tao, which is on the east coast of Thailand. 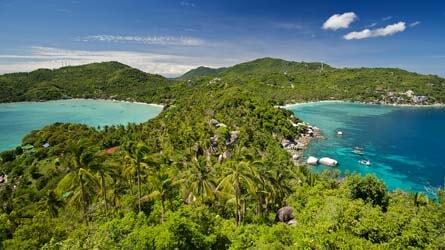 Koh Tao is one of the most beautiful Islands in the world and is one of the most famous locations for diver training. Koh Tao has some of the most stunning beaches in Thailand, amazing tropical fauna and some of the best sunsets you will ever see in the world. Koh Tao is also a great place to meet and connect with like-minded people as we have a very lively community. You will make friends for life here! 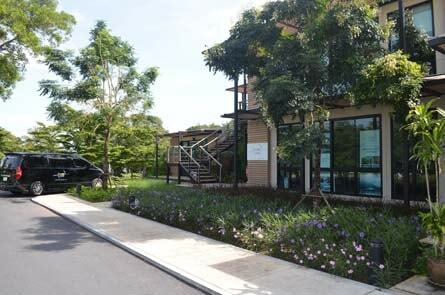 Galileo Maritime Academy is located in the Yacht Haven Marina in Phuket, which is the largest super-yacht marina in the Asia Pacific and it overlooks the exotic seascape of Phang Nga Bay. 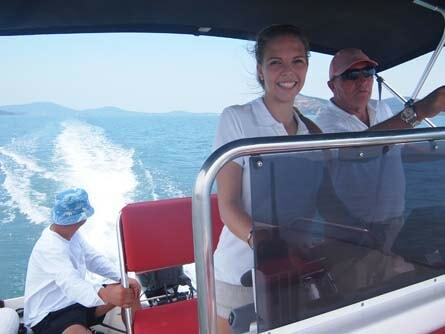 You will be training in one of the best and most beautiful super-yacht marinas in Thailand. These facilities include our Advanced Fire Fighting School, Deepwater Survival Pool, School of Marine Engineering, our Survival Craft and Rescue Boats training facility and a fleet of training yachts and tenders for practical experience at sea. In Galileo Maritime Academy’s training grounds and the super-yacht marina you will be surrounded by luxury and calm making it a very quiet area to study and relax. Only a short distance away you can enjoy lively Phuket with stunning beaches, shopping areas, and fantastic restaurants. PADI Divemasters and PADI Diving Instructors are in more demand to work on super-yachts, but some super-yacht owners just prefer their deckhands and stewards to have at least the basic PADI diving license so they can buddy-up with them on fun dives. If the super-yacht owners just want the basic PADI diving licences then it is still very important that you get the best dive training possible. 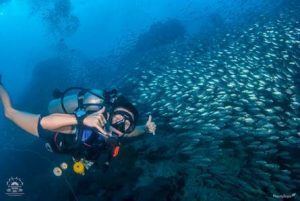 At Sairee Cottage Diving on Koh Tao we have made a package where we include the PADI Open Water Diver course and the PADI Advanced Open Water course. In the PADI Open Water Diver course you will learn all the basic diving skills needed to safely scuba dive up to a depth of 18 meters. 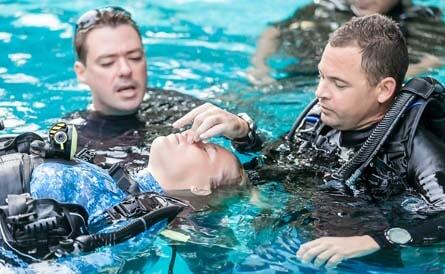 In this course you will start with learning how to dive in confined water (e.g. a swimming pool) followed by 4 amazing open water dives where you will again practice the diving skills you learned before under the careful supervision of a PADI Diving Instructor and PADI Divemaster. During the PADI Advanced Open Water course at Sairee Cottage Diving on Koh Tao we will take you to the next level. This course takes 2 days and includes 5 dives. 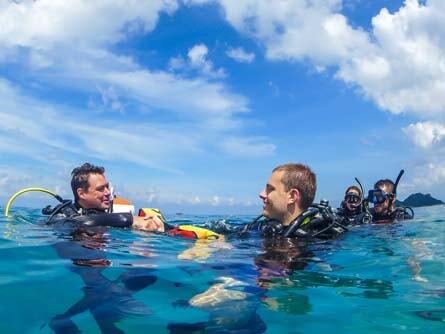 In the PADI Open Water Diving course you’ll have already learned the basic skills to scuba dive safely. During the PADI Advanced Open Water Diver course we now have the time to focus more on fine-tuning your diving skills/techniques and experiencing specialised diving environments. At Sairee Cottage Diving we focus on teaching you dive navigation, dive deeper (30m), night diving, search and recovery, buoyancy, how to dive on wrecks, how to use advanced underwater dive tools, underwater photography and how to think like a great diver. At Sairee Cottage Diving’s 5 star PADI IDC Centre on Koh Tao we’ve created the ultimate recreational dive package that easily suits working on super-yachts. We follow all PADI Standards as a base and then teach above and beyond this to create some of the best scuba divers possible. This is the fist professional PADI dive course that you can take and PADI Divemasters are in high demand to work on super-yachts. The PADI Divemaster Course at Sairee Cottage Diving is a 6-week program that takes place here on Koh Tao. PADI Platinum and award-winning Course Director Marcel van den Berg has designed a Divemaster course that goes well beyond the minimum PADI Standards. 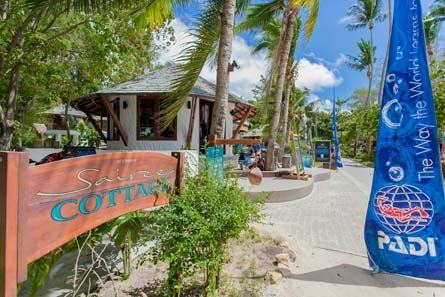 The Divemaster course at Sairee Cottage Diving is a flexible program that covers different parts of the course requirements every week. You will learn how to be an excellent “people-person”, gain customer service knowledge, cover extensive dive theory, work on swimming and stamina skills, perform an underwater equipment exchange to test stress levels, learn how to become the best dive-leader for fun dives, participate in multiple PADI “Skill Circuits”, learn how to become a great assistant on different PADI dive courses, learn positive sales training, learn environmental protection with an extensive marine conservation program, learn about PADI standards, risk management and so much more! Divemaster one of the most awesome jobs in the world! During the 6 weeks we have plenty of time to repeat any parts of the Divemaster course and give you extra time if needed to complete the course to the highest level of quality that is possible. But also, importantly, it allows for some time off for you to enjoy this beautiful Island and the great lifestyle here. Please download more information about the Divemaster Course here. Becoming a PADI Diving Instructor is for most scuba divers the ultimate dream. And for most people who are already PADI Diving Instructors the ultimate dream job is working as a Dive Instructor on a super-yacht. More and more, super-yacht owners want to hire deckhands that can teach diving as a Diving Instructor and not just lead dives as a Divemaster. As on the Divemaster course above, we at Sairee Cottage Diving (5 star PADI IDC Centre) will give you a PADI Dive Instructor Course (IDC) that will teach you way more information than just the minimum standards. As a Diving Instructor it is important to become the best that you can be and this especially applies in the super-yacht industry. Sadly enough the quality of Diving Instructors around the world can vary hugely between different Diving Instructors. This is largely due to the quality (or lack of quality) of their training. That is why we at Sairee Cottage Diving and Galileo Maritime Academy are now working closely together to help high quality Diving Instructors to get work on super-yachts ensuring that super-yacht owners get the best staff possible. The PADI Instructor Development Course at Sairee Cottage Diving is an 18-day program where we show you how to teach the PADI Discover Scuba Diving, PADI Open Water Diver, PADI Advanced Open Water Diver, Emergency First Response (EFR), PADI Rescue Diver and the PADI Divemaster courses. Of course as a PADI Diving Instructor you will still be able to do any Divemaster job, and that is one of the main reasons why super-yacht owners prefer PADI Diving Instructors over PADI Divemasters if possible. At Sairee Cottage Diving we focus primarily on safety during the IDC and our Risk Management lectures and practice-training sessions have one of the highest standards in the Dive Industry, which will, in turn, ensure the highest levels of safety for your future customers. Being a PADI certified dive-master or diving instructor is a huge advantage for successful career development on superyachts because each yacht needs one or more crew who are qualified to lead a dive group and to train those guests who have no prior experience of SCUBA diving. Many “private” and “charter” superyachts spend much time around the world’s top dive sites and are fully equipped with compressors and diving equipment for reef and wreck diving expeditions. The qualified dive-master / instructors will be tasked with supervising all diving activities and maintaining the related equipment on board. Galileo considers that a key part of our mission is to help each graduate to find a suitable job on board a superyacht. We are consistently successful at this and between 80% and 90% of all our graduates get placed on one of our 200+ client superyachts. Superyacht terminology, etiquette and life on board. Working as a member of an effective and expert crew on board. Key qualities required for success as superyacht crew. Keeping yourself safe and healthy on board. Resume writing designed for success. Cocktail making, standard drink menus, creativity, ingredients and mixology. Basic culinary skills, food hygiene and galley care – experience in our culinary school. Please download more information about the Galileo DSS Course here. 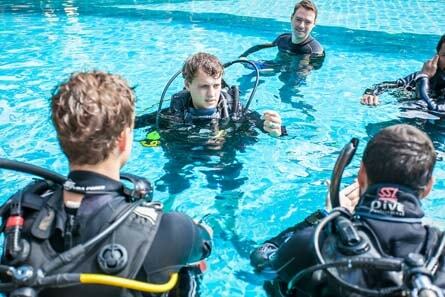 This includes PADI Specialty Instructor and a full Internship program to get teach real life students under the supervision of an experienced PADI Instructor. Transfers to / from Phuket International Airport on 15 day course. Luxury campus accommodation in a Thai-style pool villa. Delicious food and beverages for daily breakfast, lunch and dinner. Expert tuition: on-land at Galileo Maritime Academy and Galileo Fire Ship. Course notes, materials and uniform.